Doing manual SEO for your website take time, although you need to understand the process what’s going in the software, SEO tools help you get best results in timely manner. Analysing a website or a Blog is considered as the first phase of any SEO method. Once you get an analysis report then you can move on -Optimizing your website for search engines. There are numerous SEO tools for various purposes. But today here in this post we’ll be discussing only those tools through which we can analysis any website online. What does Analyze Website means? Website analysis means to discover and explore about your website. For example to analysis the Meta tags of your website and get reports. To understand how your site look like when search engines crawl your website, which URLs are dofollow and which are no follow. How many pages are indexed by Google, Yahoo, and Bing? The most important -exploring the structure of your Website. Here’s the list of SEO Tools to Analyze a Website. Before we go into advance, let’s analyse the basics of a website. Because we can’t to ignore them, they might not be that much important but still they have a value. Let we start with Meta tags analyzing. There’s a strong debate between webmasters about Meta tags. Meta tags are important because it is true that Search engine look for it when crawling your website. The important thing is that your Meta tags should be correct (Description Meta tag and keyword Meta tag should represent your website contents), and should be unique as compare to other websites. Here’re the tools to analysis Meta tags. These tools will give you free reports plus tips and recommendations. Let’s ask from Google to analyze our website. How a website look in Google Search results? These testing tools allow us to analysis the structure data about a website. To tell us, does authorship work for the website? Using Google rich snippets testing tool we can also set authorship marking for our website. To verify authorship using Google Plus profile and more. Now we’re going to act as Search Engine bots. We know how a website looks when we visit a website, because we’re humans. Optimizing your website required to know how a website look like when search engines crawling a website. Once you get to know then you can arrange your website contents such as (menus, contents, sidebar contents and footer contents) accordingly. To do this we’ll use Web Developer Extension. Get it for chrome, For Firefox. This is what Search Engines Bots see. Now optimize your website according for Search Engines. A free version gives you analysis report for 500 pages on your website. Tip- you can analyze beyond 500 pages, just by enter Labels (Blogger), Categories (WordPress), and Websites (different pages). Screaming Frog (SEO spider) is free open source SEO software available for PC users and Mac users. Once you download then don’t forget to install Java run time for your web browser. Run the screaming from and enter any website URL. Once it complete processing your website, then you can save the analysis report (To do website analysis later). It will tell you about all heading tags in your website, meta description tags, images all tags,title tags, and almost everything. Feel free to take some time and identify structure data about your website. Now we’re going to explore about a website, the value of a website, how many Website pages are indexed by Google, Yahoo and Bing? Which sites linked to my site? How many sites linked? In this section we’ll also be diagnosing keywords of our website page. Shall we start? SEO Quack is a free SEO tool to get ranking data for a website. It’s an extension for chrome and add-on for Firefox. Once you have installed SEOquack toolbar then visit a website or search a query in Google. Google Page Rank and Alexa Rank. Number of pages indexed by Google and Bing. How many twitter tweets, facebook likes, Google +1’s and Delicious indexed pages. Diagnosis report for a page. Number of external and internal links in a page. SEmrush links and domain info. Isn’t interesting? You’ll also get to know for a link – is nofollow? Or dofollow. tell you about a link if it is nofollow. when you are browsing websites, and there’s a link with no-attribute then it will let you know by striking the text. What we learnt from Website Analysis? Website analysis is important for website optimization. Without using it, you can’t to make your site search engines friendly. 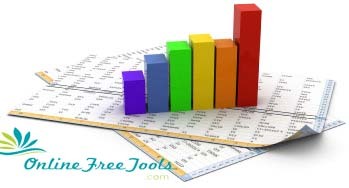 Online Free Tools help you get free website diagnosis reports, get to know the structure of your website, they do not just analysis a website but also give you tips and recommendations. I hope you’ll like these free SEO tools and that you’ll enjoy playing with them. WoW Thanks for this Significant Post Kamran bro !, You are Sharing very awesome Stuff , keep posting such impressive Posts , Love Your Blog . Thanks you Iftikhar for your precious words. I will continue posting such free online tools. Stay blessed. I am glad you find it good. Thank you for sharing with our readers.But the tool you've shared is not free. In this post I've shared only the free one's. Thank You very much Kamran. SEO Quack is amazing and most favourite tool for SEO gurus. Web analyzer is also good for initial analysis. Thank you for commenting on my blog post and sharing a tool with our readers.